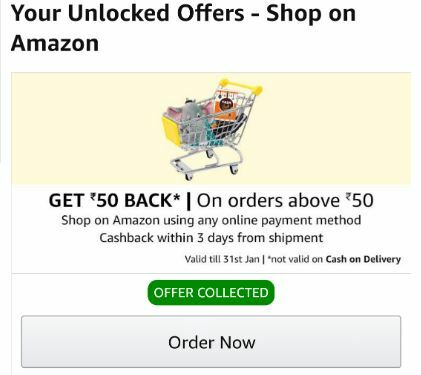 This Offer is Valid For Limited Number Of Amazon Users, Mostly All KYC Users Have This Offer. If Your Not Seeing This Offer Then You are Not Eligible For This. How To Get Rs.50 Cashback On Any Amount Order ? 5. Now After 3 Days Of Delivery , You Will Get Rs.50 Cashback for Your Order. Some User’s Are Getting Rs.20 Cashback offer.